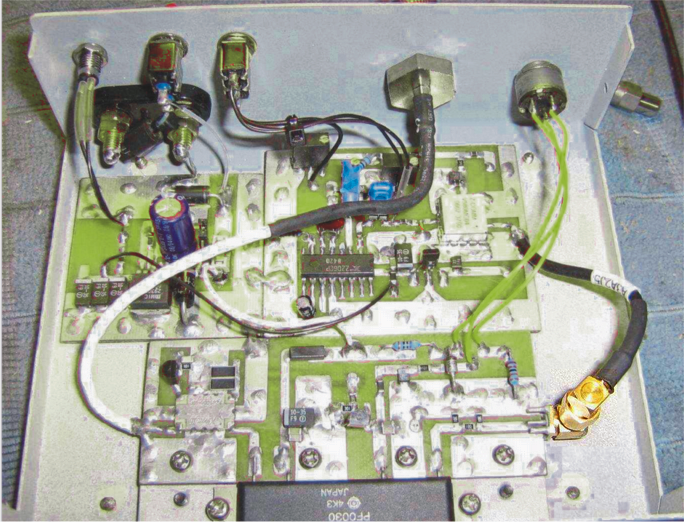 An Exar XR2206 Multi-purpose Generator is going to function as the triangle wave generator for supplying the sweep part of the jammer circuit. 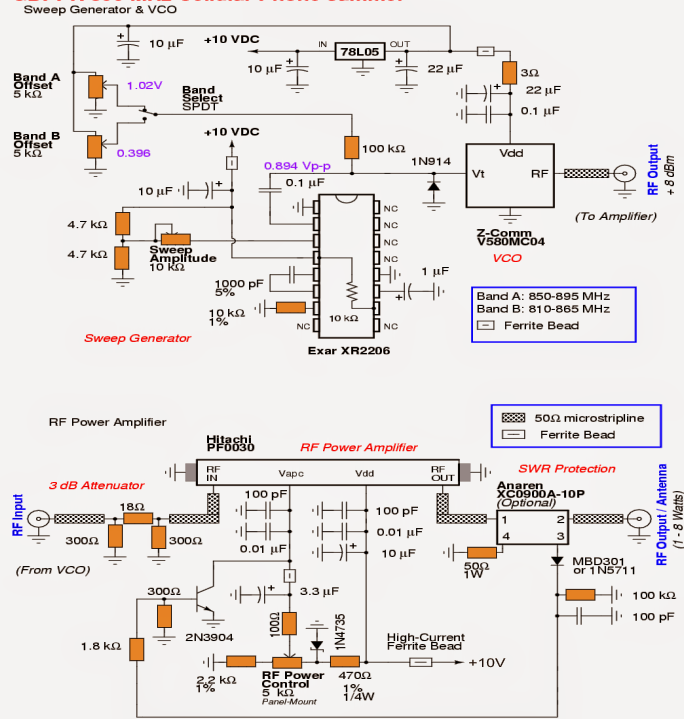 The sweep generator is going to deal with a Z-Communications V580MC04 Voltage Controlled Oscillator (VCO) to sweep between roughly 850-895 MHz at a pace of around 100 kHz. The VCO is certainly the key component in a mobile phone jamming process. It's a tad four-terminal gadget (Vcc, RF Output, Voltage Tune, and Ground) which translates into the preferred low-level RF output signal with a nominal degree of hassle. Regrettably, VCOs designed to cover the intended frequency range we may need my not be easy to obtain. Manufacturers like Mini-Circuits and Z-Communications are particularly in favor of the amateur of electronics enthusiasts, who are ready to promote their VCO products in individually directly or provide you to a nearby supplier. The VCO you decide on ought to incorporate the frequency range of the cellphone base station's downlink wavelengths (tower transmit) that may be desired to be jammed. You often attempt to jam the receiver, so for this reason, you'd want to jam the mobile station's (handset) receive wavelengths - that happen to be the cellphone tower's transmitting frequencies. All these frequencies might be different change worldwide, but yet the by and large approach will continue to be the same. 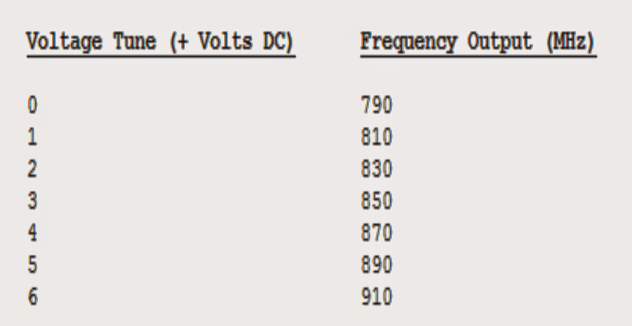 In our above discussion, a typical VCO has the ability of tuning between 790-910 MHz with a voltage tune from 0 to +6 VDC. This turns out to approximately 20 MHz of tune/volt. per volt. Which means that, if you had the desire to "jam" the frequency ranges between 870-890 MHz, it would necessaite a +1 volt peak-to-peak triangle wave with a DC offset of +4 volts. This might turn out to be a voltage signal sweeping between +4 and +5 VDC (referenced from ground), as well as might sweep the VCO's RF output between 870-890 MHz. Having said this,, in practically, the voltage-to-frequency mappings are not this precisely crucial..
An additional important piece of the RF jammer sequence is the end stage RF power amplifier. This might be considered as a a stage which isolates a mini RF input signal, say for example at +10 dBm (10 milliwatts), and expands it up to around +36 dBm (4 watts) and further. The easy to get source of such amplifiers is from some discarded analog cellphones itself. Some unused old cellphones (Motorola, Nokia, Uniden, etc.) may possibly employ a broadband RF power "hybrid" module which facilitates to make their construction much hassle free and scales-down. These types of RF module equipment are quite wideband in terms of frequeny, and is designed to comfortably enlarge RF signals lying beyond their specified range. enhancing the module's RF power control bias (Vapc) or Vdd voltage might additionally extract some more gain from these, but might also #blank# affect the expected life span of the power module. The RF power module might require to be linked with a significant, and well polished heatsink and could necessiatate a cooling fan on higher power amplifiers. In order to complete this project, we'll rely on a Hitachi PF0030 820-850 MHz RFpower amplifier module extracted from an used or discarded CT-1055 Radio Shack/Nokia cellphone. 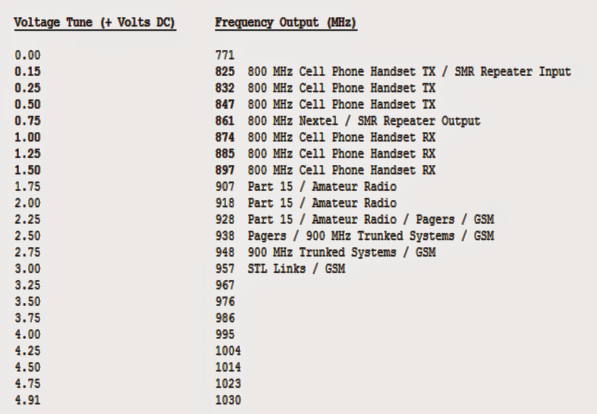 Such typical devices are assigned to over 900 MHz with just a nominal reduction in gain at those upper frequency rages.. 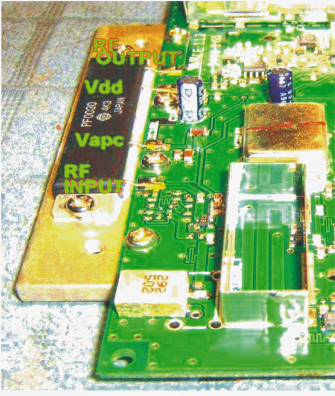 Applying the Vdd voltage at +15 to +17 VDC could possibly marginally increase the accessible RF power output. I've pulled these to reach up to 10+ watts output under appropriately layed out and fixed with a large heatsink, having said this it's normally not taking the hazard situation. 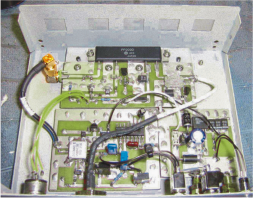 Press upon keeping the optimal RF output power around 5 to 8 watts.